When I wrote my previous article Devil Gate Drive, I assumed that Pino has based his B-17 cover on the popular song from 1958. However, I am never adverse to being proven wrong if it builds my knowledge of either comics or anything else. In this case, anything else turned out to be my knowledge of the USAAF and their B-17E fleet. You see, there is a real Suzy Q out there and she had a serious reputation as her crew accounted for 26 Japanese aircraft during her tenure in the Pacific theatre and Sergeant Allan Thompson, who was detached the 19th Bombing Group, tells of his memories of her in his two part article over on Australian Flying back in 2011. She was so famous, Boeing used her in an advertising campaign during the war. 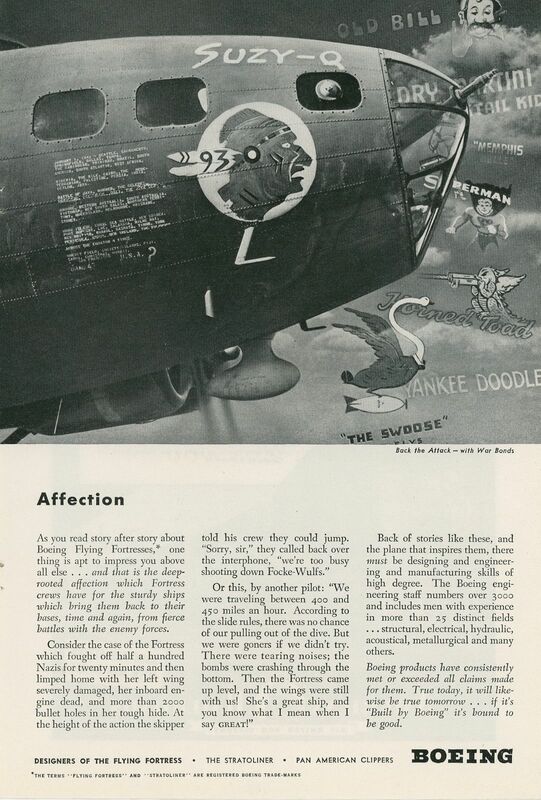 As you can see from the advert, Pino must have had a picture of the Suzy Q as his take on the Indian nose art is pretty spot on. However, the story does not end there as the Suzy Q may have ended up in the hands of an aviation collector after the war as a B-17E painted with the Indian nose art was spotted in Florida in 1979 but was crucially missing the round the world information that can be seen in the above advert. 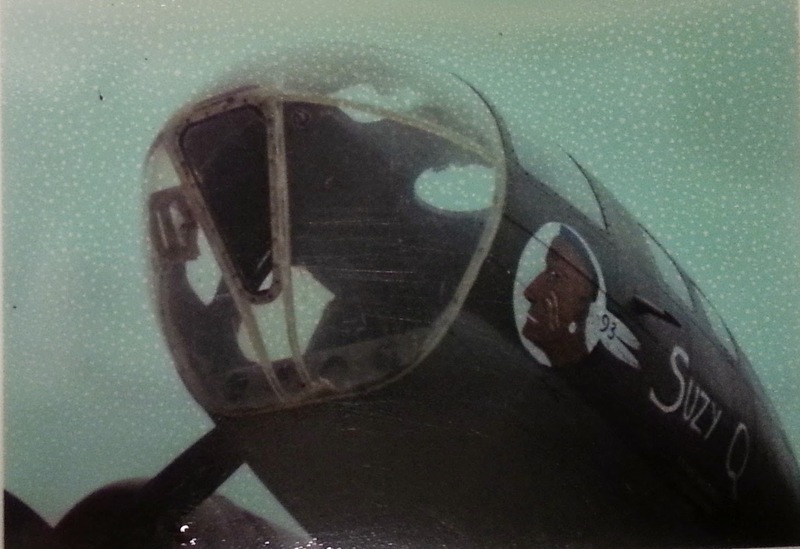 The name and the nose art also seem to have moved so that probably indicates that this is not the original airframe. So thanks for that Calum and helping to prove that comics can be educational.